Take some time out and escape to Wiltshire this year. Find out more about this mysterious and beautiful part England. The newly completed Stonehenge visitor centre deserves an extended visit. We recommend staying in Wiltshire and exploring the surrounding area, rich in history, myths and legends. Salisbury, Stonehenge and South Wiltshire is a truly unique destination. Set among some of the most beautiful countryside and with a 5,000 year old history the area is steeped in history but with its eye firmly fixed on the future. Salisbury is a bit of a rail hub with main lines and frequent trains going east to London, south to Southampton and west to Bath and Bristol. Frequent trains run from London’s Waterloo station taking approximately 80 minutes to do the journey. There are normally two trains an hour operating up until very late evening. During the week, the cheap tickets are not available until after the morning commuter rush. Don’t worry if your accommodation is in London, its very easy to get to Salisbury or Bath from London by train and the trains run till late so there is still time to get back to London last thing. 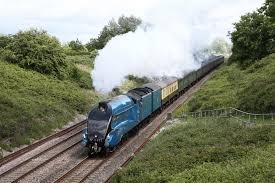 • London (Paddington) – Bath and Bristol via Swindon (55 mins),Chippenham (70 mins) and Great Bedwyn (90 mins). 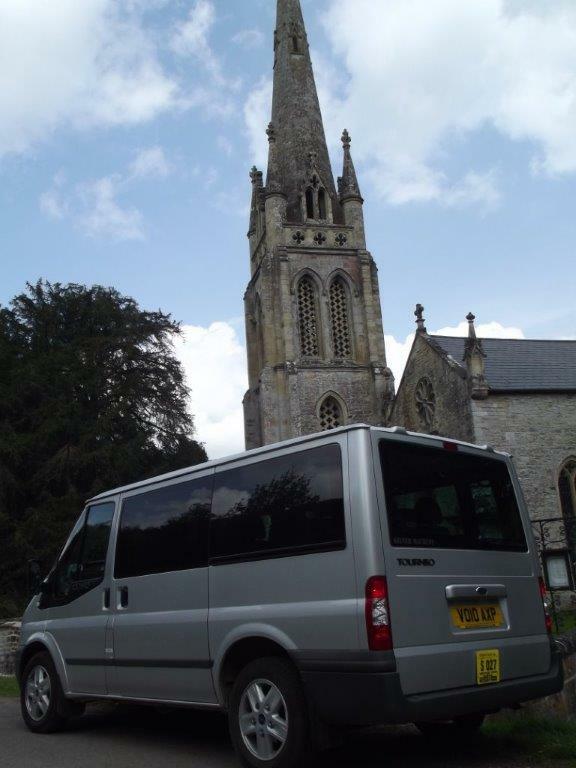 • London (Waterloo) – Salisbury (90 mins) and Tisbury (103 mins). Salisbury is one of England’s most wonderful cities – a medieval masterpiece with something for everyone. From traditional English pubs to cosmopolitan street cafes and from hard-to-find specialist shops to major high street stores, you’ll find it in Salisbury. And at its heart there is the magnificent Salisbury Cathedral, towering over the city as it has for over 750 years. Step outside of the city and you are in another world. Green hills, crystal clear rivers and picturesque towns and villages just waiting to be discovered. And, of course, there’s Stonehenge. The world’s most famous stone circle stands just a few miles north of Salisbury – a must see destination. Stonehenge Stone Circle is the most famous and enigmatic Megalithic site in the United Kingdom. Dominating the landscape of Salisbury Plain in the county of Wiltshire, the giant standing stones of Stonehenge – some weighing up to 50 tonnes – are a mysterious icon left by mysterious ancient peoples. You may have a special interest in burial chambers, the construction of Stonehenge, the purpose and culture of the people that built the henge. English Heritage Stonehenge Visitor Centre. The fantastic new £27m visitor centre at Stonehenge is now open, offering tourists an interactive experience and the chance to examine prehistoric objects. Visitors are transported by shuttle bus more than a mile (2km) from the venue to see the stones. 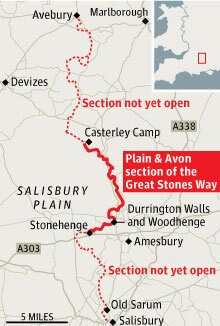 Discover prehistoric sites and rare species preserved on Salisbury Plain. An ocean of grassland and a sweep of big sky. Ancient monuments loom out of the mist; camouflaged soldiers crouch in the undergrowth. Salisbury Plain is a landscape of extremes. It is the largest remaining area of chalk grassland in Northwest Europe and home to 2,300 prehistoric sites yet also the largest military training area on British soil. Avebury Stone Circle Avebury rivals – some would say exceeds – Stonehenge as the largest, most impressive and complex pre-historic site in Britain. Avebury is part of a wider complex of Neolithic and Bronze Age monuments, with many other ritual sites in English Heritage care. West Kennet Avenue joined it to The Sanctuary, and another stone avenue connected it with Beckhampton. West Kennet Long Barrow and Windmill Hill are also nearby, as is the huge and mysterious Silbury Hill. This extraordinary assemblage of sites seemingly formed a huge ‘sacred landscape’, whose use and purpose can still only be guessed at. Avebury and its surroundings have, with Stonehenge, achieved international recognition as a World Heritage Site. Needless to say private guided tours are bespoke and can be tailoured to suit your needs in the date(s) you wish to travel. Stonehenge private access tours allow you to enter the inner circle of Stonehenge before or after it is officially open to the public. By StonehengeNews in stonehenge, Tours from Salisbury, Visit Salisbury on January 30, 2014 .